Make your own soap cupcakes, macaroons,fluffy meringue, jelly, buttercream icing and cake decorations! Who would have thought there was so much science in a cake soap? The soap in this kit can be melted and moulded to make almost any solid shape. 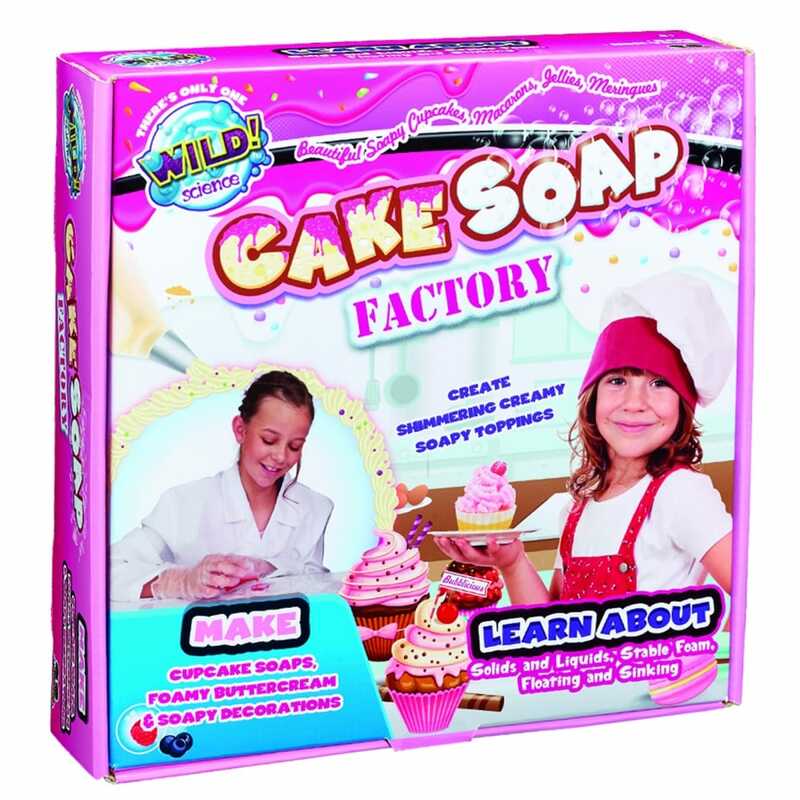 Whipping the soap creates a stable foam that can be piped onto soap cakes to make any sweet creation you can imagine. The clear glycerine soap allows light to pass through, but when the soap is whipped with air, it becomes an opaque, white foam! Adding white pigment or colour to the clear soap changes how the soap looks because it changes which colours of light are absorbed or reflected by the soap. Learn about solids and liquids, melting and freezing, aeration, dissolving, stable foam, reflection, absorption and scattering of light and density: floating and sinking. Contents: Special transparent casting soap 150g, professional grade Titanium Oxide pigment soap 40g, 2 x mixable cosmetic colourants, 3 x stirring sticks, plastic fork, glitter, chef's piping bags & nozzles, 2 x real laboratory beakers, cake shapes moulding tray, colour instruction booklet. This is okay for a bit of fun with the kids.